Our best-selling leather padfolio, the Executive Zippered Portfolio has a secure zipped closure to keep everything inside, and a variety of interior pockets to store meeting notes and takeaways. 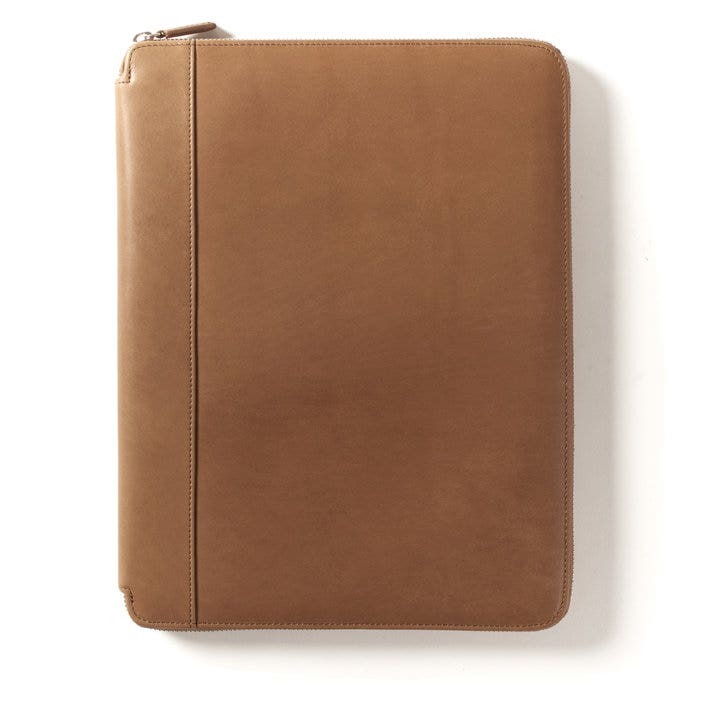 Polished and professional, this leather executive portfolio is perfect for employees of all ages. Additionally, this style is available in a variety of colors and leathers to suit any style or match your company colors.